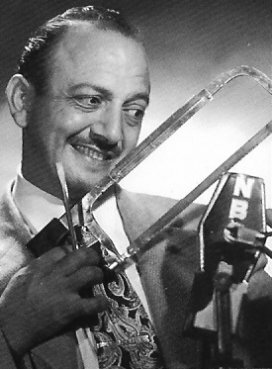 For 50 years, Mel Blanc was the voice of many popular cartoon characters including Bugs Bunny, Daffy Duck, Porky Pig, Foghorn Leghorn, The Tasmanian Devil, Pepe LePew, Marvin the Martian, Roadrunner's "Meep meep! ", Barney Rubble and Woody Woodpecker. His tombstone is engraved, "That's all, folks".